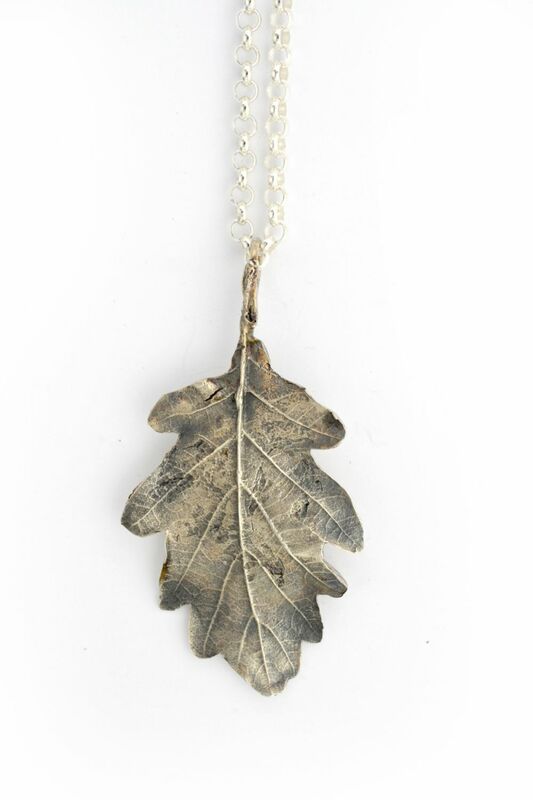 Large silver Oak Leaf, the surface has been oxidized to enhance the fine detail. Polished back, with Birmingham Assay hallmark. The leaf is 5.5cm in length. Please state 16" or 18" Chain. Lucy Jade Sylvester has always had a love of nature and our British Countryside, when not walking in woods collecting fresh inspiration, she can be found in her studio with hammers and files, creating jewellery, belts and spoons.